(1) OVERCOMER. Robyn Bennis provides “A Debut Author’s Guide to Social Anxiety”. ….If, on the other hand, the above feels like a gross exaggeration of your social anxiety, then perhaps I do have a handful of weird old tips for you. To get over this, the first thing you have to do is acknowledge that your brain is lying to you. I mean, Suzanne Somers is great and all, but that show just doesn’t hold up. Good acting can only go so far in saving such a horrible premise. Oh, and your brain is also lying about your worthlessness. You are worthy and deserving of the help of others. But seriously, who the hell thought that show was a good idea? I have excoriated Ben Bova’s fiction in the past, but I have nothing but admiration for his work as editor for Analog. While Disco-Era Analog might seem a bit stodgy to modern eyes, at the time Bova was a breath of fresh air. Rather than settle for being a second-rate Campbell, he did his best to be a first-rate Bova. He recruited new authors, many of whom differed (excitingly) from Analog’s Old Guard. He also bought more stories by women than did his predecessor1. While some old guard objected to Bova’s direction, enough readers enjoyed it to give him a remarkable six Best Editor Hugo Awards, as well as one nomination for the same category…. Eyes of Amber won the Hugo. The Screwfly Solution won a Nebula. Two major awards for stories from one issue is remarkable. Other stories, such as the Tellure, may not have won accolades but were memorable enough for me to remember as soon as I laid eye on them. All things considered, this was a pretty awesome read to be my third ever issue of Analog. It’s no surprise that Bova was nominated for a Hugo on the basis of his 1977 work. …In my mind, whenever someone asks what could be vegan about fantasy, it proves to me that they’ve never been a vegan reading fantasy. In addition to a lot of the violence and war in the genre (it’s usually a central component, even outside of grimdark), the best scenes feature someone riding their steed in a fine leather vest to grab a hock of ham. I’m not even sure I know what hocks are, but I have concluded they are key to the development of fantasy heroes. So, you know, my fiction is just focused a bit differently. In fact, I think that diversity and exploration is what fantasy is all about. I’m not here to get into all of that, though. I’m here to talk about one of Cat’s and my favorite subjects: yummy food. Now, I’m not an authority on gourmet cuisine. Go to a vegan restaurant or check out many amazing online vegan chefs for that. (I’m particularly fond of Richa Hingle.) Hey, I’m not even a great cook. But I haven’t eaten meat in almost a quarter century, so I can definitely speak to “what we eat.” Don’t worry. This is just a quick blog to spark some ideas. But if you don’t mind eating plants, here are five simple foods you could give a spin…. (4) WHERE RIVERS AND FANS MEET. 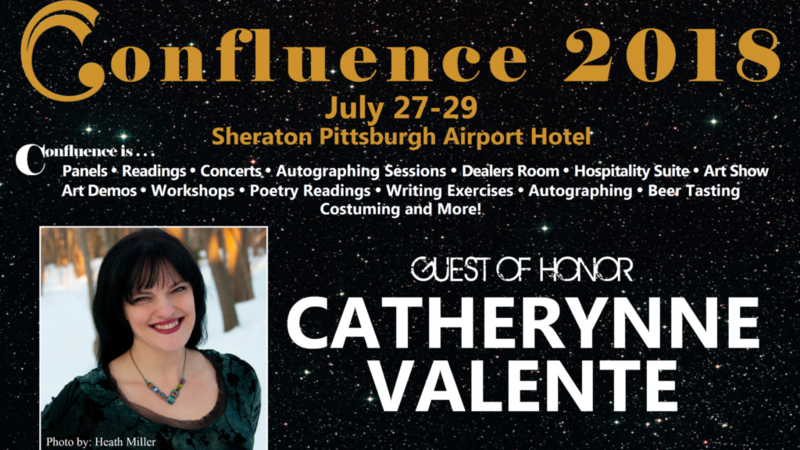 The 2018 Confluence will be held at the Sheraton Pittsburgh Airport Hotel from July 27-29, with Guest of Honor Catherynne M. Valente and special music guest S.J “Sooj” Tucker. This year marks the 30th anniversary of the first Confluence, although it is not the 30th Confluence (they had to skip 1999 and 2013). Born June 2, 1920 — Bob Madle, one of only two surviving attendees of the very first Worldcon. It’s possible Bob is the oldest living SF fan. Jack Lint doesn’t want you to miss Tom Gauld’s “Lesser-Known Literary Prizes”. (8) PIONEER FILK. 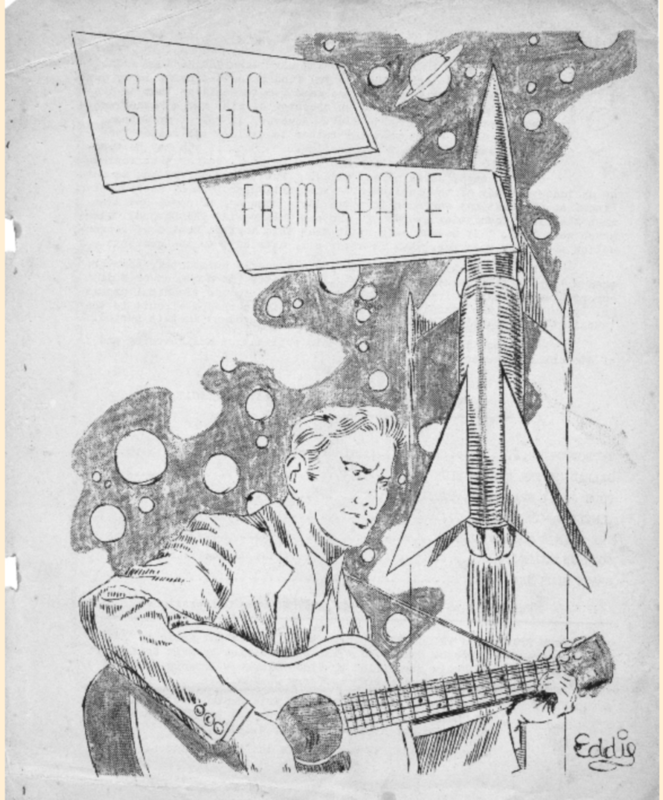 Rob Hansen has added what appears to be the earliest filking fanzine produced in the UK to his THEN fanhistory site: “Songs From Space (1957)”. Presented here is what appears to be the earliest filking fanzine published in the UK, which is dated August 1957. It was published by Eric Bentcliffe, reworked lyrics were by Sandy Sandfield, and artwork by Eddie Jones. The final song, Space Club Drag, is inspired by The Space Club, a clubroom for London fandom that Helen Winick had tried to establish around the turn of the year. The most incredible family of superheroes is back. The Parrs, the lovable, fearless family of five we first met in 2004 in The Incredibles, will return for another animated adventure when Disney-Pixar’s Incredibles 2 arrives in theaters June 15. And although 14 years have passed, it’s like the clock has barely ticked at all: The new movie picks up seconds after the first one ended, with the same cast of characters. Elastigirl (voiced by Holly Hunter) hurtles back into superhero work, while her husband, Mr. Incredible (Craig T. Nelson), remains behind as a stay-at-home dad with the couple’s three kids, teenage Violet (Sarah Vowell), adolescent Dash (newcomer Huck Milner) and baby Jack-Jack. (10) CONCAROLINAS. David Weber told his Facebook followers the terms under which he agreed to be a ConCarolinas special guest next year. I have been in contact with Jada at ConCarolinas by Messenger, and she tells me that they will be making a live announcement at closing ceremonies, with the video to be on their Facebook group, which will make clear that going forward they will be inviting guests they feel are genre-related and that as a convention which has never taken a political stance they will not tolerate being told that guests must lean one way or another or that guests are uninvitable because of their political stances. They will expect anyone who attends to be able to be in a room with another person who disagrees with him/her and be civil to one another. They will also not be beholden to bullies or trolls and will not disinvite guests after such attacks. They will also mention what happened to John, and state that the mutual decision for him not to attend was wrong and that they apologize to John for the hurt and the frustration that was caused by their decision and for the fact that their initial statement did not make it clear that HE was the one being harassed and bullied by vile, unfounded allegations (which went so far as to drag his wife into the fire) and threats to harass him at the con which would have turned a regional con into a battleground. On that basis, I have agreed to attend the con as a special guest next year. Weber also says the convention will give him a contract about his appearance. People, the object is to fix the problem, not to pile on (from either side) and not for anybody to issue masochistic mea culpas. But there is a point at which grown-ups have to begin the “fix the problem” conversation by acknowledging that they screwed up and publicly apologizing to the object of their screwing up. To be blunt, ConCarolinas owes John Ringo a public apology for not making clear who was the victim and strongly condemning the hatemongers who attacked him AS HATEMONGERS. Coming from Weber, that is perhaps not a surprising characterization of those who had issues with Ringo’s selection as a special guest. The ConCarolinas chair delivered the statement she negotiated with Weber this afternoon at closing ceremonies – here is the video. At the moment, I am VERY satisfied. I’m sure that some people are going to wish that there’d been more self-flagellation and public contrition, but she was reading a prepared statement that she wanted to be sure got every point covered. Under the circumstances, I think this is a positive admission of the mistakes that were made, an apology to John, a proper characterization of the vileness of the allegations thundered against him, and a very decent starting point to move forward. And speaking as someone who’s had to eat a little crow in public himself upon occasion, I know how hard it is — especially coming back after the fact — to apologize in a case like this. (11) FAN OVERBOARD. Honor Harrington fandom has been experiencing some rough sailing. Longtime volunteer Tom Coonradt announced his retirement as the Senior Master Chief Petty Officer of the Royal Manticoran Navy due to a conflict with leadership. …It is with a very heavy heart that I say this. It is my opinion that John Roberts is the worst possible fit for a first space lord this, or any, Organization could have. Since before John Roberts became first space lord he has treated me with disdain, condescension, and disrespect. And I know I am not the only one. Culminating with a public outburst at a respected member of this organization at Manticon. John Roberts refuses to communicate with me in writing, he says because he communicates poorly in writing. My concern is that there is ZERO accountability there. There is no recording of a spoken conversation that can keep a first space lord honest. He has out rightly and in writing (ironically) refused to discuss anything with me at all in writing, even if it is a simple message of “I want to talk to you about this topic, when can I call you?” I had on the phone, only a few short weeks ago, given him several possible solutions to our communication issue. When I thought we had reached a compromise, the only thing he sent me, ironically enough, is the new policy on how to replace the SMCPON. One he refused to discuss further with me after I gave my impressions. He has no ability to be flexible, and in fact will refuse to listen or even acknowledge any advice, idea or criticism that he doesn’t agree with…. 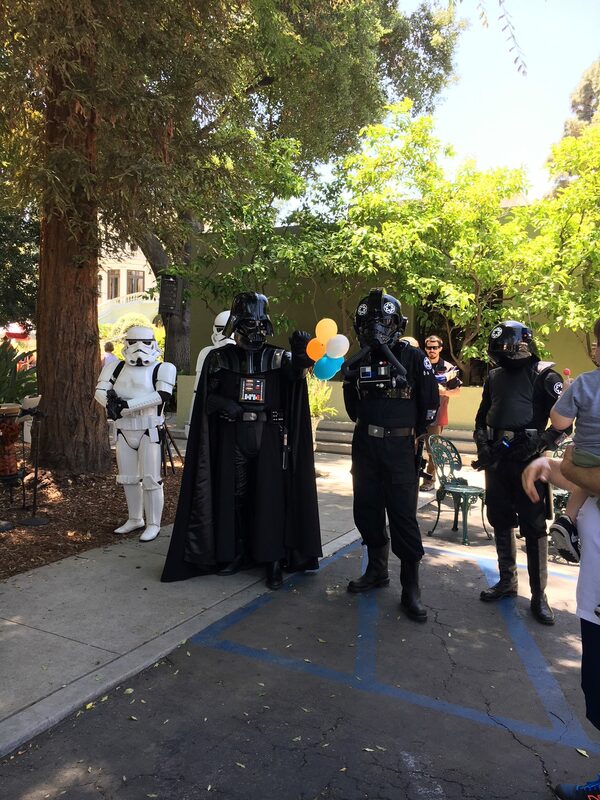 The group’s website defines The First Space Lord as the Senior Executive Vice President of The Royal Manticoran Navy: The Official Honor Harrington Fan Association, Inc. The full text of Coonradt’s statement can be found attached to a comment on this post. (12) DEPT. OF HARD TO KEEP SFF AHEAD OF REALITY. At TechCrunch “‘Upgrade’ director Leigh Whannell talks low-budget worldbuilding”. TechCrunch: It’s interesting that it came from your imagination, because in some ways it feels very prescient. We had our own robotics event a couple of weeks ago and one of the big moments onstage was someone in a wheelchair who was able to take a few steps thanks to an exoskeleton. Whannell: So the exoskeleton that helps people with paralysis walk and move, this movie is the internalized version of that, where it goes one step further and there’s nothing exterior. It’s a chip. It has been interesting to watch the world catch up to my script. Because when I wrote the first draft of this script, automated cars and smart kitchens were still science fiction. And in the ensuing years, they’ve become ubiquitous. I mean, my wife’s car parks itself and talks to her. And my daughter thinks it’s perfectly normal to have a voice talking to her in the kitchen, and she asks it to play songs and it does. So in a way I feel like I’m living in the world of the movie I wrote all those years ago. (13) PARVUS IS OPEN. Colin Coyle of Parvus Press says they are open for novel and novella submissions until July 15. See details on the publisher’s website under Submissions. Coyle also notes that their Kickstarter for If This Goes On edited by Cat Rambo has raised $6,074 of its $10,000 goal in the first four days. (15) HEARTS OF TABAT. Marion Deeds reviews Cat Rambo’s Hearts of Tabat at Fantasy Literature. …On the surface, Hearts of Tabat might be a slightly satirical comedy-of-manners, but the Beasts are growing restless and rebellious, and something (or someone) is trying to siphon away the magic that protects the land. When, abruptly, Bella Kanto is accused of sorcery and exiled, it is clear something is very wrong. Rambo’s world is beautifully described, complex and plausible. Good people are complicated, and aren’t always good. Sebastiano works daily with the Beasts, seeing their natures, yet spouts standard bigoted lines about how they can’t be accorded the same rights as humans. Adelina’s infatuation with Eloquence causes her to ignore her own better judgment. Eloquence himself is charming and seductive, but we see a different side of him at home with his sisters. A large part of the Tabat society is religion. The Trade Gods and the Moon Temples, with their different belief systems, are depicted convincingly. The effects of poverty are not romanticized. Frankly, Obedience has it so bad at home that when she is abducted along with a magic student I can only think that’s going to be a step up for her…. Almost anything will make a Filer burst into verse. I’ve been clipping the highlights from our own version of La La Land reality for over a year, and today I’m ready to play them for you. You’ll lose your mind, lose your mind, lose your mind! and the SMOFs who ruled them had courage and greatness. We have heard of those pixels’ heroic scrolling. Oh! Woe is me! Typos are a misery! So I’m off to start ‘nother pretty thick doorstop! Morlocks doesn’t really work there, but it seemed important at the time. Cause we scroll for the Tingle and love! We read SciFi in the sun! How could he know just what this absence means? Go granny go granny go granny go! Why are your eyes always filled with brine? And Godstalk, I know I’m one! And they went to sea in a scroll. But we don’t care a pixel! We don’t give a fifth! He’s the man, the man with the mouldy touch! Let’s do the Godstalk again. It’s just a click with the left. And then a box from the right. Scroll your hands with your hips. You bring your comments in tight. That really drives you insane. It’s so dreamy, oh fantasy free me. So you can’t vote me, no, not at all. Well pixelated I scroll all. You’re on the file drip. And nothing can ever scroll the same. You’re read like a mountain. still more books;you cant count´em . Let’s do the Goldstalk again. Appertain, me hearties, yo ho! Yo ho, yo ho, a pixel scroll for me! Seventeen billion pixels and me. I’ll read File Sev’n Seven-teee! And I scrolled my pixels freee! When I scrolled my pixels freeeee! 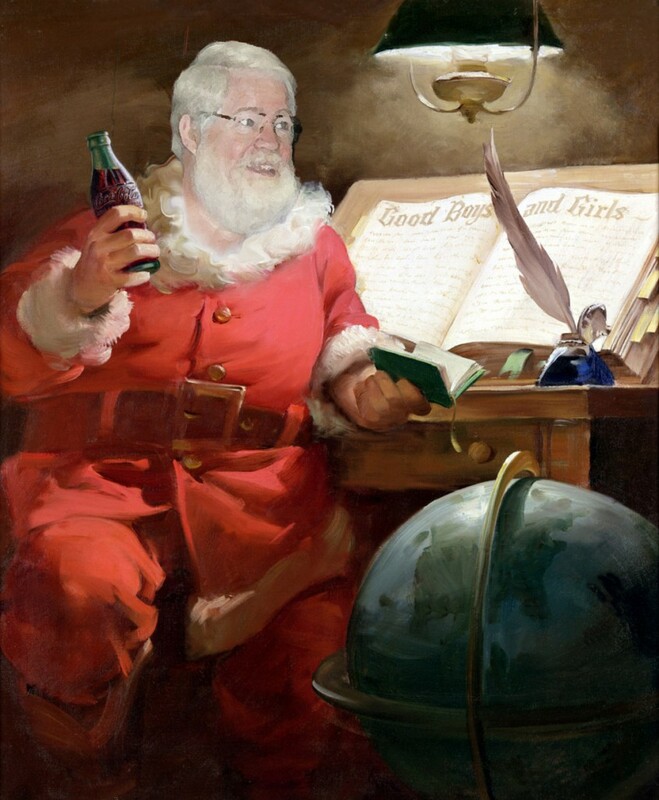 While you’re waiting for Santa, appertain yourself a hot chocolate (or stiff belt), settle back, and enjoy this collection of some parody verses and holiday filks that Filers have been leaving in comments the past few months. Did you get my vote, Chuck Tingle? Don’t put your pixel in the scroll. It’s right there in my blog. And that’s enough of that. Don’t put your pixel in the scroll! For robinareid, because it’s all her fault. ** **Not actually her fault. I took laudanum a few liberties with meter, but then, so did Coleridge. Down to a Kaiju sea. A bulwark to end the toll of Kaiju-kills. This movie really didn’t work for me. Why must they rely on giant robot fists? We have missiles and nukes – mighty armaments! Why don’t you zip it? replies the audience. Can’t you see we’re all really enjoying this? Two mighty Kaiju sinuously emerge. The Kaiju assault has literally doubled. Leaves the noble Jaegers scattered like sea-wrack. Two half-teams, and two battered Jaeger shells. Chance so slight it’s all but lost. A hopeless trip to depths below? New-found friend and best ally. Will dauntless heroes really win? Rescue by escape pod (one each). The story ends without a kiss. Mako Mori Test for the win. In hopes that Mike Glyer soon would be there. While visions of Hugo Awards danced in their heads. Had just settled our laptops for a long winter’s nap. I sprang from the keyboard to see what was the matter. But a miniature pixel and eight tiny scrolls. “Now, Kyra! now, Camestros! now, Kurt and Paul! On, Meredith On, Hampus! on, Red and Wombat! To the top of the page! to the top of the Google! With the sleigh full of books and Mike Glyer too. Down the chimney Mike Glyer came with a bound. And his pixels were all tarnished with ashes and scroll. And he looked like a faned, just opening his pack. His eyes-how they pixeled, his dimples how scrolled! His cheeks were like gravatars, his nose like an emojii! And the scroll it encircled his head like a wreath. Soon gave me to know I had a huge to-be-read. And filled all the scrollings, then turned with a jerk. And giving a nod, up the pixel he rose! The file bears the scroll. I’m wishing, Lord, that I was scrolled. That makes a pixel feel alone…. How do you like this ode to Pixel Scrolls? Now let’s read the latest Pixel Scroll! This, this is pixel scroll! Filers proved today there is no such thing as an innocent question…. By the way, since this is National Poetry Month, are we having Scroll titles based on poems? The scroll of March hath perced to the roote . . . Fans and working writers brings. Come file with me and read my scroll. Lives a brave little pixel whom we all admire. I’ll just stop here as I’m not even sure if Glyer and admire rhyme. Downward to pixels on extended scrolls. The Scroll That Through the Vile Hive Drives the Pixel. The scroll of pixels isn’t hard to master. Is all ye file and all ye need to file. Items in a vile, long File. I’d ask what I was scrolling in or out. Don’t do the rhyme if you can’t do the time…. Oh Pixel, My Pixel (from the Dead Scrollers Society). And all the scrolls did link. Nor any pup to think. Where there’s a slate, there’s a way! And the quay it is aa garnished wi bonnie fanboyz round. He’ll fetch himself a Hugo, lads, or know the reason why. And it’s cheer up, ma lads, let yer hearts fill wi hate. When the Sad and Rabid Puppies nab the Hugos for the slate. Their angst all pulled aboot them and the salt tears rinnin doon. Oh, don’t you weep, my bonnie Pups, though ye’ll be left behind. For the Beale will pal wi’ Scalzi, before we change our mind. Here’s a health tae the Monster Hunter, and the fans who fight the fight. We’ll pack the slate wi Pups me lad, we cannae lose that way. Wi a load of Puppy Hugos, boys, and money tae oor name. We’ll try and try and try again until the Pups prevail. Posted in Editorial Notes, Reference Director! | Tagged Bonnie McDaniel, Greg Hullender, Jack Lint, Jim Henley, Kip W, Peace Is My Middle Name, rea, Soon Lee, Stoic Cynic, The other Nigel, Will R.